Add-ons, extensions and plug-ins help expand the basic feature set of Comodo IceDragon with additional capabilities. Click the hamburger button at the top-right > Select 'Add-ons'. Comodo IceDragon enables you to install three types of Add-ons. Extensions - These add new features or modify existing features. Examples include extensions to block advertisements, to download videos from websites, to add features from other browsers and to integrate IceDragon with websites like Facebook. 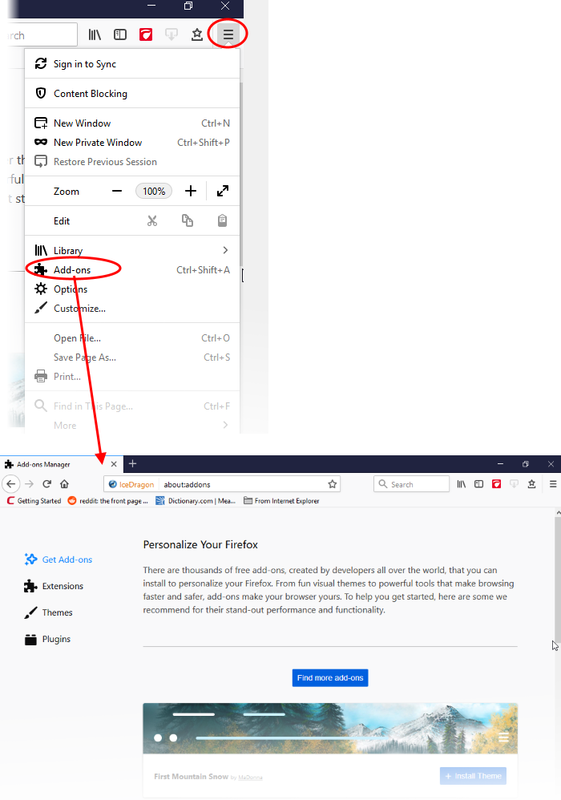 Themes - Change the look of overall look of the browser including buttons, menus and other browser elements. 'Personas' decorate the menu bar and tab strip with a background image. Plugins - Add support for different kinds of internet content. This includes patented formats like Flash, QuickTime, and Silverlight that are used for video, audio, online games, presentations.